What happens in Vegas, slays in Vegas... (Yup, that pun just happened. And there's more where that came from...) The Wrecking Crew soldiers through the Strip in search of the mysterious government compound housing the contagion's cure. But does Kurt have the group's best interests at heart, or does he have more sinister motives? C'mon, roll the dice (...See??) 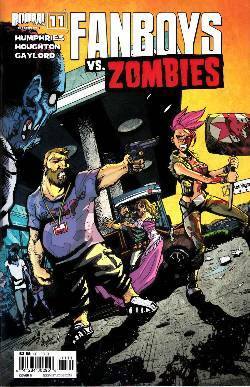 and give FvZ a chance -- perfect for fans of THE WALKING DEAD and CHEW!